The printer of the radical Patriot newspaper The Massachusetts Spy. 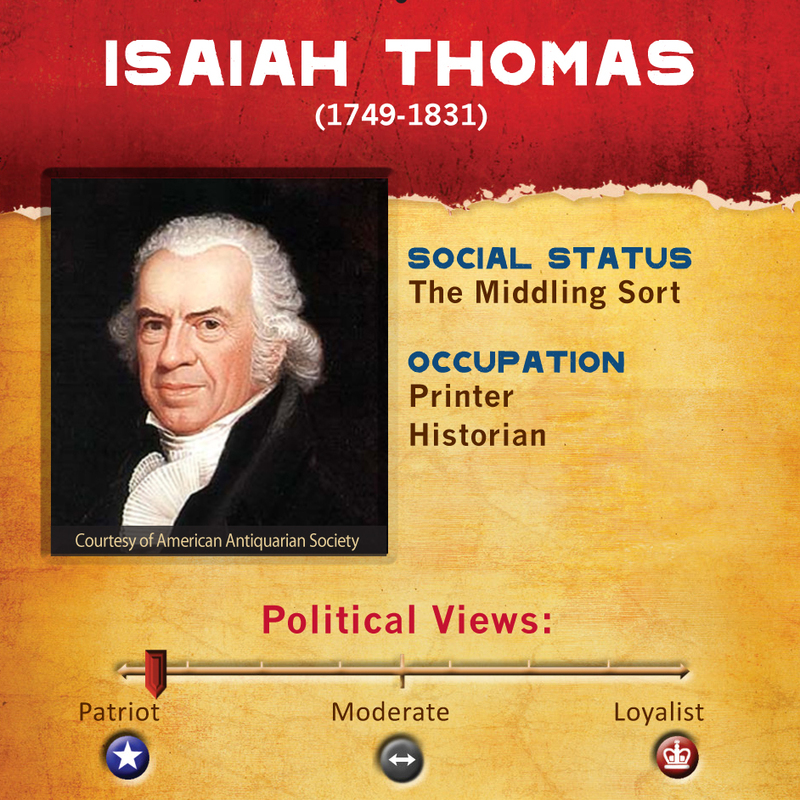 The American Antiquarian Society, one of the oldest historical societies in the country, was founded by a man named Isaiah Thomas. He had been a part of American history himself as a young man who had printed a radical newspaper in Boston during it’s most tumultuous years. Historians today are indebted to him not only for the history he helped to create, but also the history he helped to preserve. You become an apprentice printer when you are very young because your family is poor. 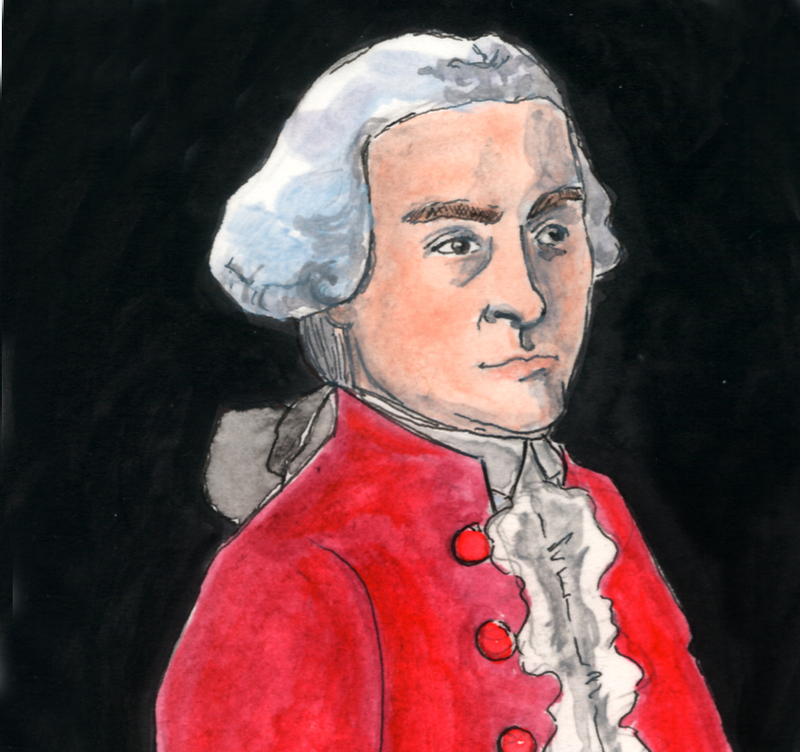 You travel the North American colonies in your teens, and return to Boston full of ideas. Your printing office becomes known as “The Sedition Foundry:” a Patriot gathering place. Thomas Hutchinson prosecutes you for libel, but a sympathetic jury refuses to convict you. You escape from Boston with your printing press as the war begins. You become the foremost printer and publisher of your generation and die a wealthy man.